Are you cut out for academia? People leave academia for all sorts of reasons. For some it’s an active choice: maybe they want more job security or a better work-life balance, or maybe they’re just not as fond of research as they had once anticipated. For others the decision may be taken out of their hands, as they move from post-doc to post-doc, finding it increasingly difficult to secure the next role or chunk of funding. Dr Shelley Sandiford, ex-researcher and founder of science communication business Sciconic, has written a Next Scientist article to encourage those in the latter group to make the move out of academia before “wasting years in postdocs”. The article isn’t for the faint-hearted. As Sandiford sets out the difference between PhD “Student As”, those with potential, and “Student Bs”, those who will never make it, she attempts to send out an early wake-up call to those she says simply won’t succeed in today’s competitive academic sector. These are students who’ve found themselves with disappointing PhD projects in poorly-resourced and/or unsupportive teams, and who haven’t built a respected research profile by the end of their doctoral degree. But Student Bs shouldn’t feel too bad, because Sandiford says they’re the norm not the exception. In her opinion, “upwards of 90% (or more) of PhD students SHOULD LEAVE Academia“. Indeed, we know that the vast majority of PhD grads do eventually leave academic research. And outside of academia, the playing field is level; PhDs, whether they’re Sandiford’s Student A or B, are all high achievers with an equal chance of building successful, fulfilling careers. So are you a Student A or a Student B? If you’re feeling strong enough (! ), give the article a read and see. If it feels a little too cutting in places, remember that Sandiford considers herself to be an ex-Student B, so her harsh words are an attempt to save others from making the same post-docing mistakes she feels she made. If you don’t have the time or the stomach for the full article, why not try out her handy “Do you have what it takes to become an academic?” flowchart, right. 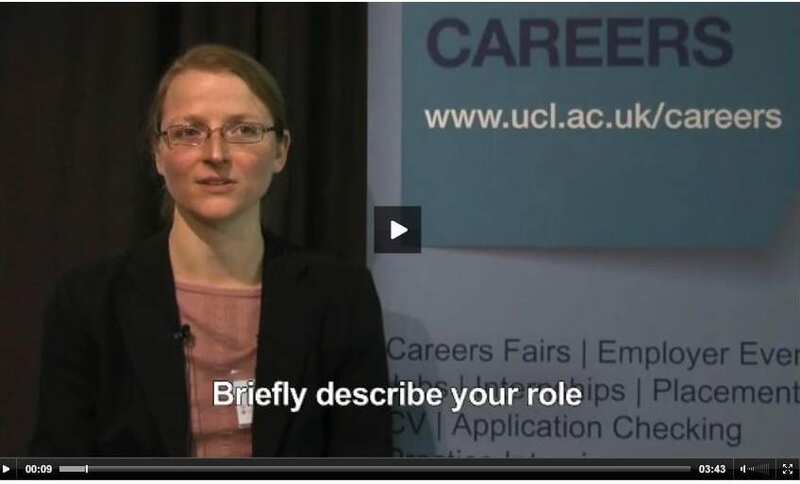 Most of our researcher career case studies focus on people who have completed their PhDs. But what about those who leave before the end of their doctoral degree? Considering your career options is a big task for anyone, but it may feel even more daunting if you’re leaving a course early. I’ve worked with students who for a variety of reasons have given up on their PhD, and despite their concerns, it hasn’t hampered their careers. Although they may not have gained the title, they still gained the valuable transferable skills of a PhD-holder. Fiona Nielsen is a nice example of this. She left a genetics PhD in her final year, but used the skills and knowledge she’d acquired to set up Repositive, a social enterprise that aims to speed up genetic diagnostics and research through efficient data access solutions. Fiona came along to our Researcher Life Sciences Careers Fair, where she told us about her career journey. You can watch her interview here. A couple of months ago we told you about a new job-searching app that works like Tinder. Well if that seemed a little shallow to you, perhaps you’ll be more interested in Hiremetrix. 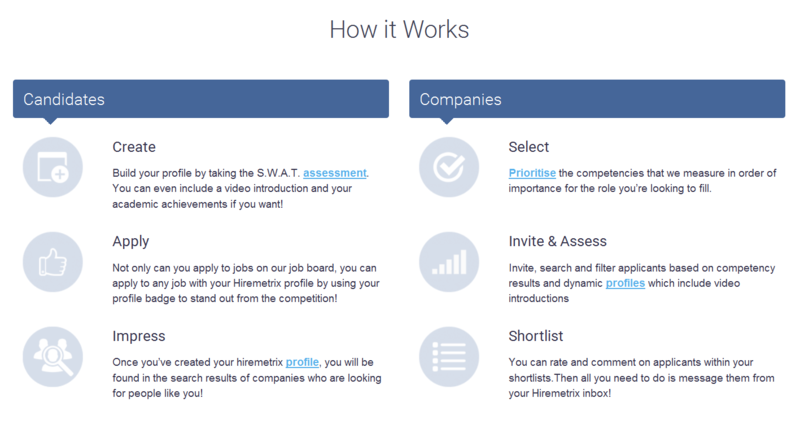 Hiremetrix takes more time and care over the matchmaking process; you build an online profile, which includes the results of their online assessment, and when companies are looking for new employees, you may turn up in their searches. Many organisations already use LinkedIn to hunt for potential employees, so we know this kind of thing works. Interestingly, your profile can include a short introductory video. As recent research suggests that job pitches are more effective when spoken, as opposed to written, the chance to literally have your voice heard by an employer at a very early stage may be invaluable. See below for Hiremetrix’s description of how it all works.